Our brain is the most energy hungry organ in the human body, weighing only 2% of our total body weight but consuming more than 20% of our caloric intake. Our brain is a powerful organic machine that controls all thoughts, movement and sensation. They store an immense amount of data as images, text, and concepts. We know that how we eat can affect our bodies, but what we put in our mouths also affects our bodies, but what we put in our mouth also affects our mood too. As a picky eater, to meet the energy requirements of the brain, we need a healthy diet to stay sharp. Here are 10 fruits that augments the brain function, mood and memory. Avocado - Avocados are a source of monounsaturated fat, omega 3, and omega 6 fatty acid. These increases blood flow to the brain, lower cholesterol, and aid in the absorption of antioxidants. Avocados also comes with its own antioxidants, including vitamins E, which protects the body and the brain from free radical damage. They are also a good source of vitamin K-both helps in protecting the brain from the risk of stroke. Beans and Legumes - Beans and legumes are excellent sources of complex carbohydrates. These complex carbohydrates are also mixed with fiber that slows absorption, giving us a steady supply of glucose for the brain without the risk of sugar spikes associated with many other sugar sources. Beans and legumes are also rich in folate- a B vitamin critical to brain function and essential omega fatty acids. Coconut oil - Coconut oil contains medium chain triglycerides that the body uses for energy, leaving glucose for the brain. Coconut oil has a beneficial effect on blood sugar, blood pressure, and cholesterol. Anything that benefits the heart and circulation also benefits the brain. Coconut oil also acts as an anti-inflammatory and has been linked to helping prevent Alzheimer's and dementia. Spinach - Spinach can prevent or delay dementia. The nutrients in spinach prevent damage to DNA, cancer cell growth, and tumor growth, but also slow the effects of aging on the brain. Spinach is also a good source of vitamin E.
Tomatoes - Tomatoes contain lycopene, a very powerful antioxidant that combats dementia and may improve mood balance. Curry - Curry contains turmeric, a spice that in turn contains the anti-inflammatory antioxidant curcumin. Curcumin is capable of crossing the blood-brain barrier. Research has shown that curcumin may help inhibit the accumulation of destructive beta amyloids in the brain of Alzheimer's patients. 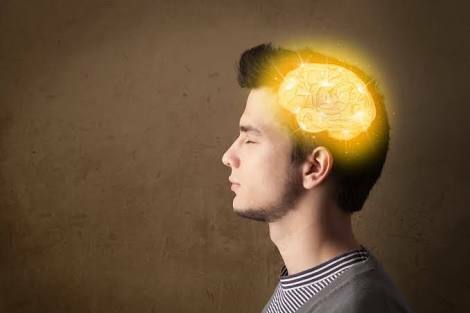 Curcumin has even been shown to boost memory and stimulate the production of new brain cells, a process known as neurogenesis. Crab - One serving of crab contains more than your entire daily requirement of phenylalanine, an amino acid that helps make the neurotransmitter dopamine, brain-stimulating adrenaline and noradrenalin and thyroid hormone, and helps fight Parkinson's disease. Crab is rich in vitamin B12 which helps boost the brain. Walnuts - Walnuts are good sources of plant-based omega 3 fats, natural phytosterols and antioxidants, and has been shown to reverse brain aging in older rats. DHA, in particular, has been found to boost brain functions and promote brain healing. Always remember that a healthy lifestyle equals a healthy brain.